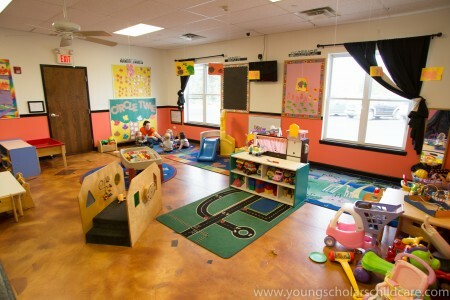 Welcome to Young Scholars Child Care Center! 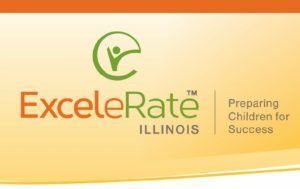 Young Scholars Child Care Center is a proud member of the Silver Circle of Quality through ExceleRate Illinois, the state’s new quality recognition and improvement system for early learning and development programs. No one is more important to the world of tomorrow than the children of today. As adults, we can offer one great gift to the children in our lives which will help build their character and demonstrate our love. Time is one of the most precious gifts to give a child. 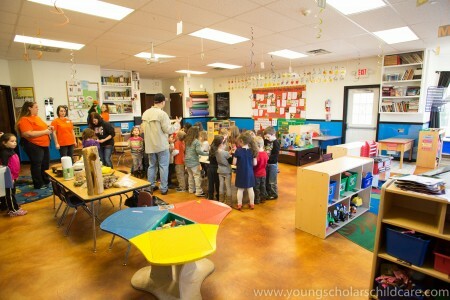 The Young Scholars Child Care Center is committed to providing each child with caring and nurturing individual attention. 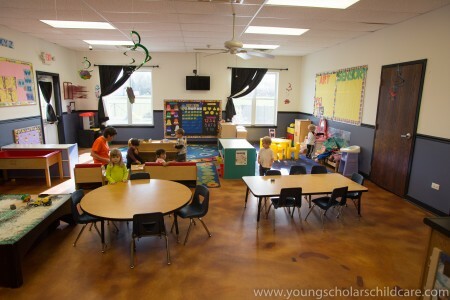 First, we think that children need a safe, clean, healthy and stimulating environment in which to grow and develop emotionally, intellectually, physically and socially. Our center was built around that idea! 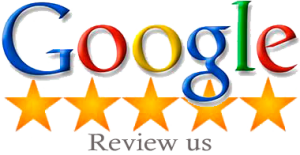 We provide an environment that allows children to learn using all five of their senses: Vision, Hearing, Touching, Tasting, and Smelling. We also believe that children develop and learn by interacting with adults, with each other, and with the world around them. We spend individual time with each child. 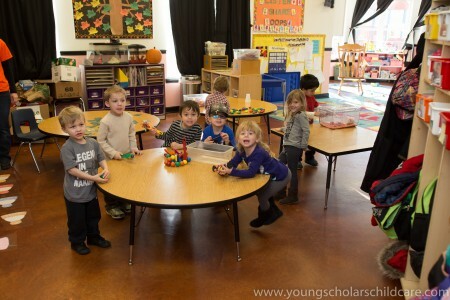 Children also learn valuable lessons by watching and interacting with other children. 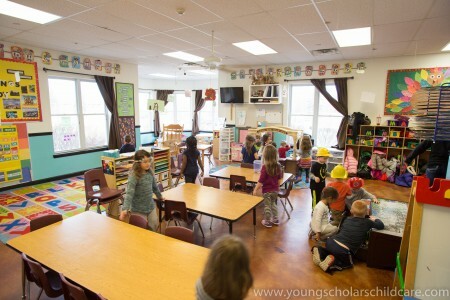 By providing a healthy and safe environment and the tools children need, each child can build a solid foundation that will carry them through a lifetime of growing and learning. 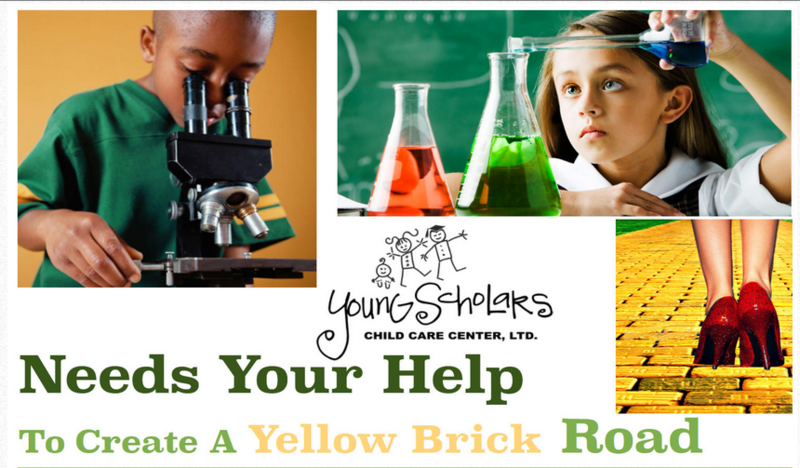 Here at the Young Scholars Child Care Center, we emphasize the importance of giving each child the attention they need to grow by offering them a wide variety of child-orientated, growing experiences.